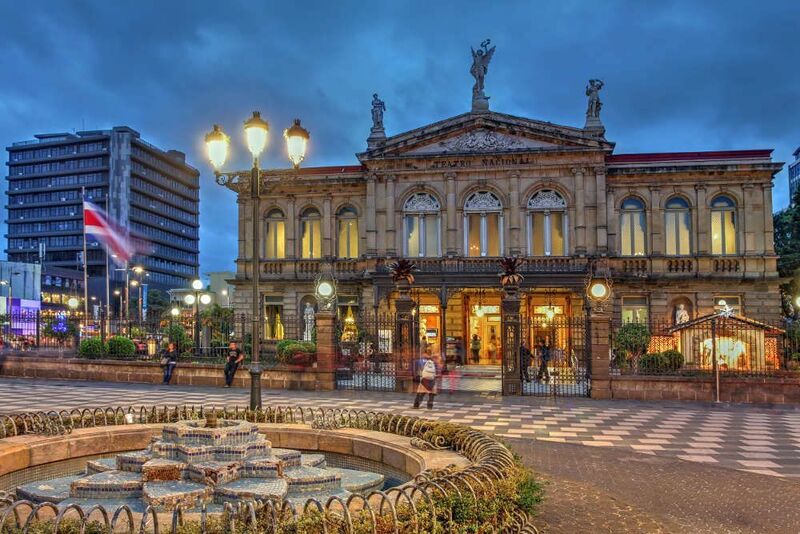 San José is the capital of and largest city in the Central American country of Costa Rica. The city, including its outskirts, houses a third of the population of the entire country and is named after Joseph of Nazareth. It is the major commercial, cultural and geographical centre of the country yet has one of the lowest crime rates in the region. The city’s museums should be your first stop. Visit Museo de oro Precomombino y Numismática to marvel at the country’s most priceless artefacts – the pre-Columbian gold is particularly popular. The Museo de Insectos, predictably, has a huge array of insects to look at, and even some to eat afterward! The newly expanded Museo do Jade houses nearly 7000 pieces including jade carvings and ceramics, and the Museo Nacional de Costa Rica offers archaeological artefacts spanning the length of Costa Rica’s history, and a butterfly garden. Not seen enough butterflies? The Spirogyra Jardín de Mariposas has more than 30 species, all fluttering around the foliage in numerous enclosures. Not learned enough yet? Visit the Museo de Arte Costarricense for regional art or the Museo de Arte y Diseño Contemporáneo for contemporary. The Museo de Ciencias Naturales La Salle has some fantastic natural history exhibits, and the Museo de los Niños & Galería Nacional is an unusual dual museum, perfect for getting the children interested in art and science. Take a daytime stroll around colourful Barrio Amón, a picturesque neighbourhood comprised of coffee grower’s mansions from the late 19th – early 20th century. In the evening, theatregoers should not pass up on the opportunity to catch a play, dance, opera or symphony at Teatro Nacional, the spectacular 19th century theatre. Foodies will find a home from home at Feria Verde de Aranjuez, a Saturday market where the city’s artists and organic farmers have been meeting to display their wares since 2010, and party goers will love the Hoxton Pub – a mansion-come-club where ladies drink for free before midnight on Tuesdays! 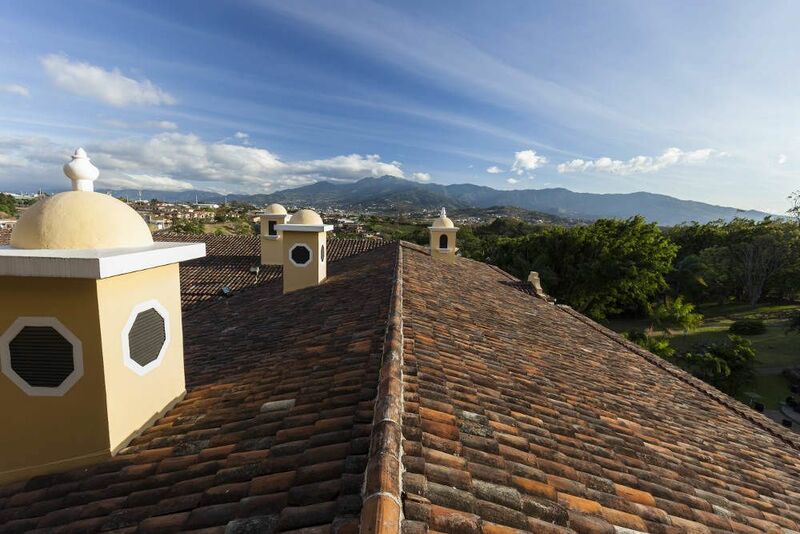 See the neoclassical grandeur of San José in style – from the street! A walking tour is the best way to get to know the city, and best of all, these ones are free! Seemingly only available through Facebook, WhatsApp and Gmail, this friendly bunch offer evening walks around the city on the weekends, discovering the rich history and all the secret spots that only the locals know. The meeting point is Plaza de la Cultura San José Costa Rica, but it is definitely best to email beforehand at [email protected]. This tour is self-guided, and as such allows you time to appreciate some of the city’s finest art. Without stops, the walk will take around 2 hours. It begins at Jacob Karpio Galería and ends at Arte Latino, one of the only places where you can buy original Central American paintings at reasonable prices. This tour’s route can be downloaded for use offline via the ‘GPSmyCity: Walks and Articles with Offline Maps’ app. Great for the smallest members of the family, this self-guided tour will allow them to explore and enjoy some of the city’s best child friendly areas. Starting at Plaza de la Cultura, the tour is 2 hours long and ends at Museo de los Niños. This tour’s route can also be downloaded for use offline via the ‘GPSmyCity: Walks and Articles with Offline Maps’ app. Below you can find more popular (but not free) activities and tours in San José. Are you from San José and want to be a tour guide? Please get in touch by submitting your details on this page!